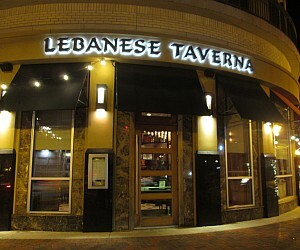 The Lebanese Taverna Restaurant is a chain with six locations in the Washington-Baltimore area. The restaurant has a wide variety of Lebanese dishes. The Bethesda branch is located at 7141 Arlington Rd, Bethesda, MD 20814. The restaurant is open for lunch and dinner 7 days a week. 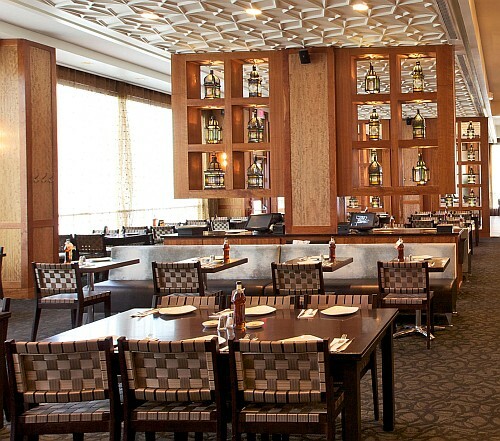 The Lebanese Taverna Restaurant in Bethesda is a spacious room with high ceilings and a modern look. The large room is divided with partitions displaying glass lanterns. The staff is prompt and courteous. The bread appetizer is brought to your table while you wait for your order. The bread is freshly baked and very good. 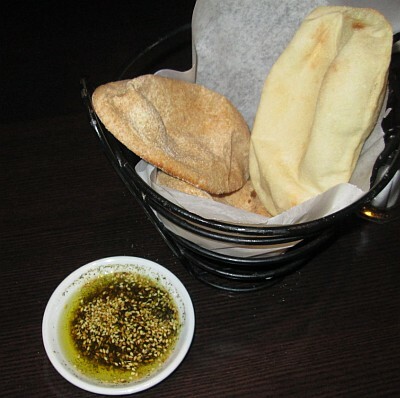 The basket of bread has white and whole wheat loaves and it is accompanied with a dipping sauce of olive oil, lemon juice, herbs, and roasted sesame seeds. 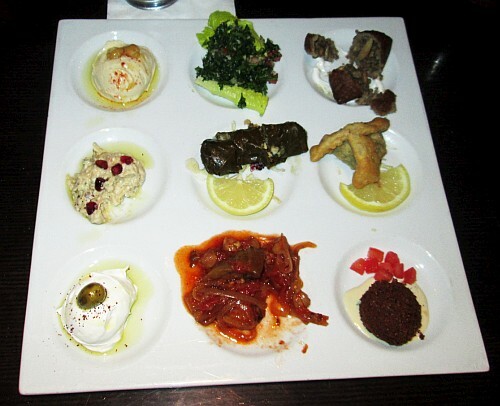 If you are not familiar with Lebanese cuisine, the chef's platter is a good choice. It comes with a sampling of hommus (cooked, mashed chickpeas blended with tahini, olive oil, lemon juice, salt and garlic), baba ghanoush (roasted eggplant, tahini and garlic), tabouleh (parsley salad with bulgur wheat, tomatoes, cucumbers and tomatoes dressed with a lemon vinaigrette), labneh (a soft cheese made from yogurt), grape leaf rolls stuffed with ground lamb, rice and spices, falafel (deep-fried ball made from ground chickpeas and spices), fatayer (spinach pie), kibbeh (bulghur, minced onions and ground meat), and m'saka (zucchini stew with chickpeas and tomatoes). 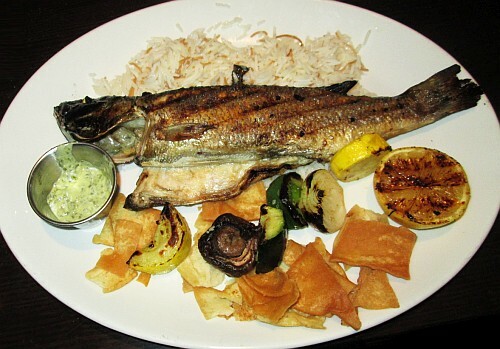 The Mediterranean sea bass is grilled whole and accompanied by lemon-cilantro sauce, grilled vegetables, Lebanese rice and pita chips. The Grilled Lamb Sharhat is a lamb loin grilled to your specification accompanied by three herb sauce, grilled vegetables, potatoes. 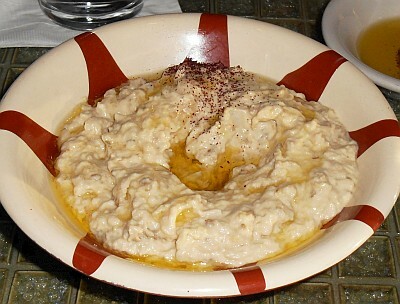 The Baba Ghannouge is a tasty eggplant dip with tahini and lemon juice. 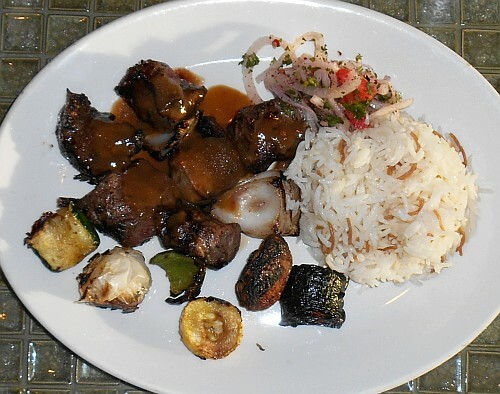 The Lamb Shish Kabob is cooked to your specifications. 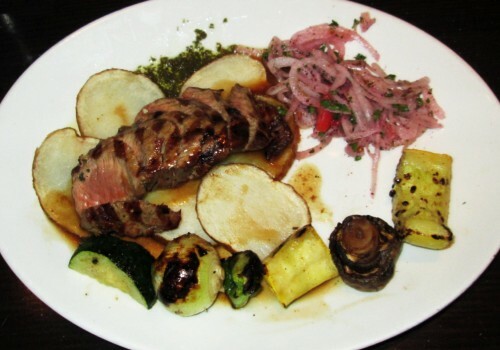 The meat is marinated with a hint of cinammon and it is served with grilled vegetables. Lebanese rice with the traditional fried vermicelli accompanies the dish. According to the menu, the Lamb Shank is served on a bed of barley flavored with garlic and herbs. 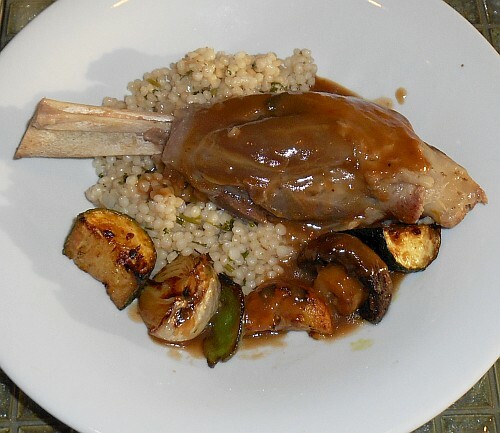 However, the shank is actually served on Israeli couscous as shown in the image above. The dish is garnished with grilled vegetables and covered with a lamb reduction sauce. My overall experience at the Lebanese Taverna was good. The food was tasty and unpretentious, and the prices were reasonable ($$).